Pushback against videos about: With Napoleon in Russia. 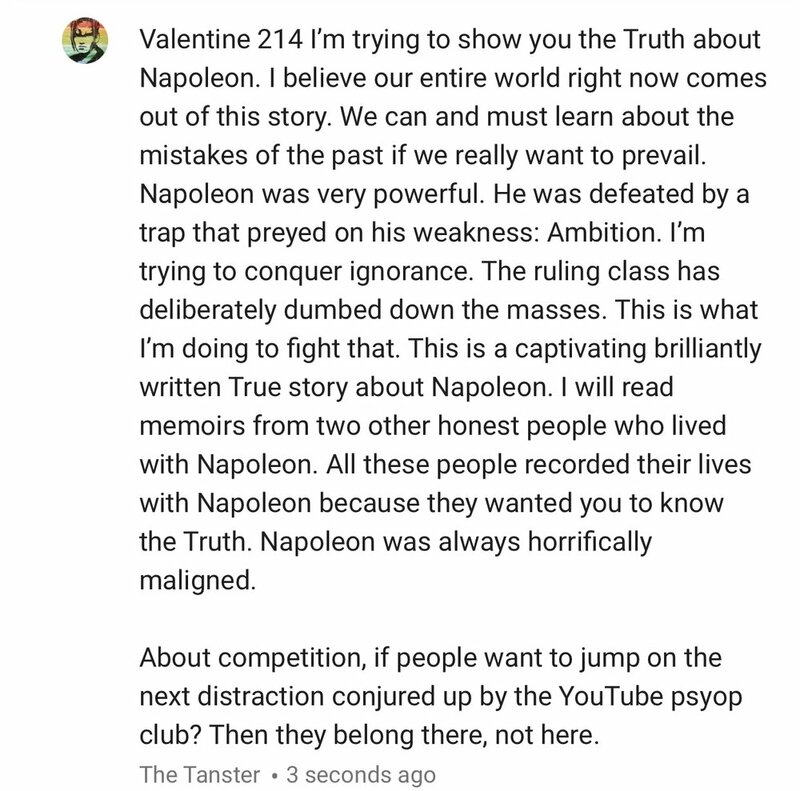 I’m regularly getting comments expressing aggravation about my Napoleon videos concerning the Russian nightmare that was his downfall. I am planning to read three memoirs by three different honest people who lived with Napoleon. I am starting with Napoleon’s downfall. Based on decades of research these three books can reveal the Truth about this figure which towers from our past. This is actually going on in my YouTube comments right now. This series will be like a highly credible free college course about Napoleon by an expert who really understands this topic. Anyone who just wants to have their prejudices validated by stranger sock puppets? My project is not for them.